CooksRecipes has quality, kitchen-tested recipes for diabetic-friendly breakfast dishes that you can count on for accuracy and deliciousness. 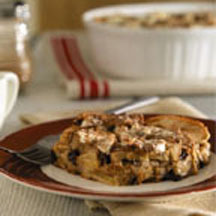 This delightful strata is made with cinnamon raisin bread and is perfect for a breakfast or brunch. Very easy to prepare the night before, then just bake in the morning. 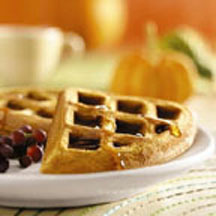 Nothing beats the smell of freshly baked waffles on a cold wintery day. Start your day with a bowl of steaming oatmeal. It is even better topped with fresh apples and spice, and don’t forget to sweeten!